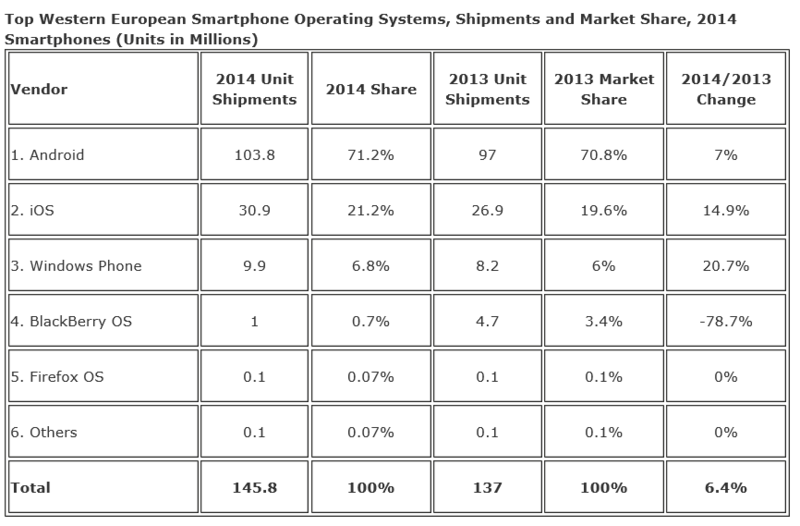 IDC have released shipment figures for the top smartphone Operating Systems in Western Europe along with the highest mobile phone vendors throughout 2014. 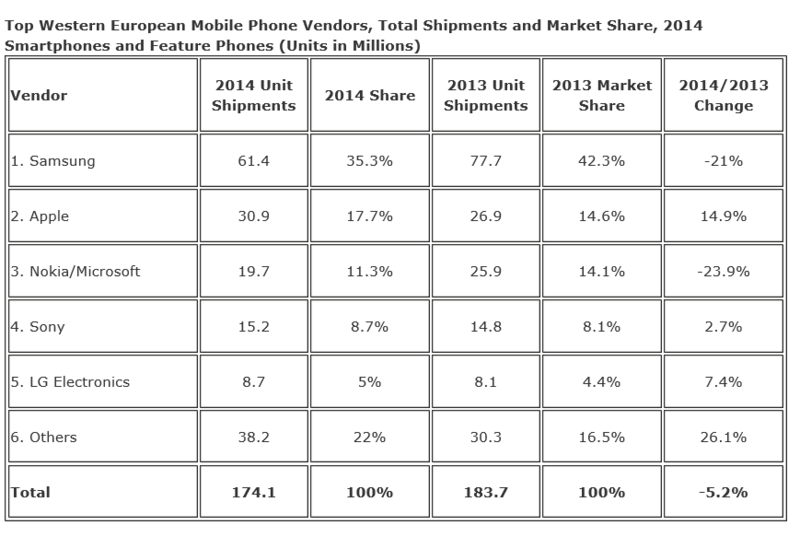 The Western European mobile phone market failed to grow in 2014 for the second consecutive year, according to International Data Corporation (IDC). 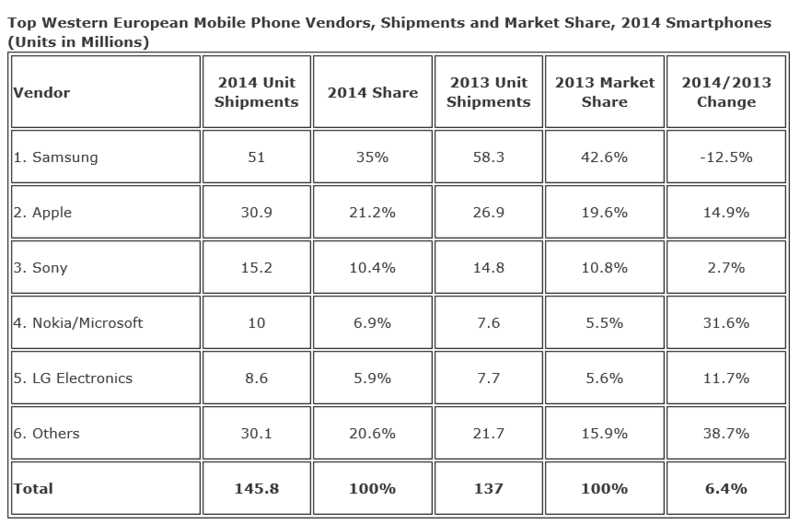 Total shipments declined 5.2% year-on-year to 174.1 million units, according to IDC’s European Mobile Phone Tracker, published in February 2015. The feature phone segment continues in free fall, with shipments down 39% year-on-year to 28.4 million units and a total value of $USD1.4 billion. This is now a niche segment representing only 16% of total units shipped in the year and 2.2% of the total market value. Total smartphone shipments exceeded 145.8 million units, up 6.4% year-on-year, to represent 84% of the total number of mobile phones shipped in the region last year. This accounted for $USD62.4 billion in value, up 1.7% year-on-year.